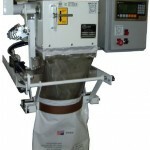 Coderre Packaging offers customers JEM International bagging equipment, which is entirely mechanical and designed to handle free flowing and non-dusty products from 4 to 6 bags (50 lb) per minute, with an accuracy of +/- 4 oz. JEM International provides specialized packaging solutions. Our Equipment division will be pleased to give you all the information you need to ensure you find the best equipment for your company. Contact our Customer Service department for more information. 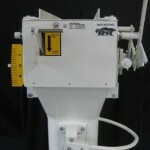 MCSS portable bagger : Fully portable, this machine is ideal for full and successful bagging operations – Convenient for indoor and/or external installations – can be used for rice, grain, wheat, maize, barley, fertilizers, seeds and other food, industrial or commercial products. More details. / Video. Download the brochures for technical data, pictures. accessories and much more. How did you hear about Coderre Packaging ? Show, Trade faire, Events, etc.